Mother’s Day bouquet promo codes from Flowercard, Waitrose and Bloom and Wild page because here you will find Mother’s Day gift savings a-plenty. Until 4th March you can use a Waitrose Flowers and Gifts voucher code to get £10 off their Mother’s Day Flower Garden Hat Box (normal price: £58) and £5 off the Mother’s Day Heaven Scent Gift Bag (normal price: £30). And now for something a bit different. These floral items aren’t actually bouquets at all as such, because with Bloom and Wild promo codes you can save money on what they call ‘letterbox flowers’. All the flowers are carefully packaged in attractive boxes so the recipient can arrange them how they like once they’ve arrived, ensuring the flowers reach them in peak condition. With our current Bloom and Wild promotional code you can enjoy 15% off your order, so why not treat your mum to The Sofia arrangement? And if you want to be an extra special son or daughter, you can pay for a three month subscription that delivers a different box of flowers every month. 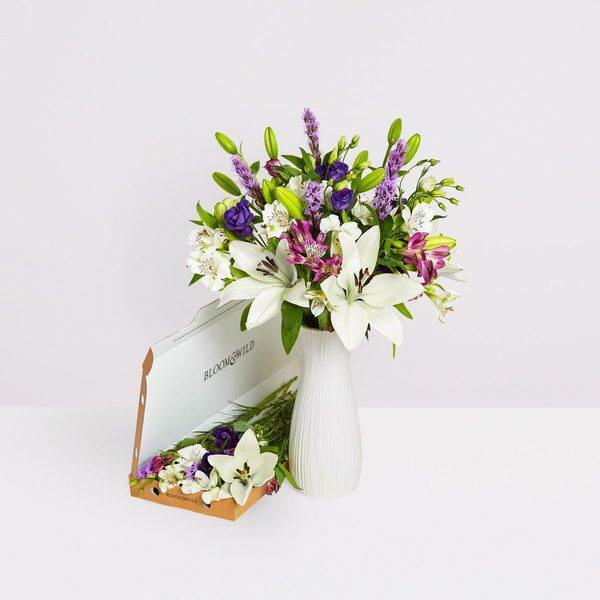 So worry not about your last minute Mother’s Day gifts – our Flowercard discount codes, Waitrose discount codes and Bloom and Wild discount codes are here to help.